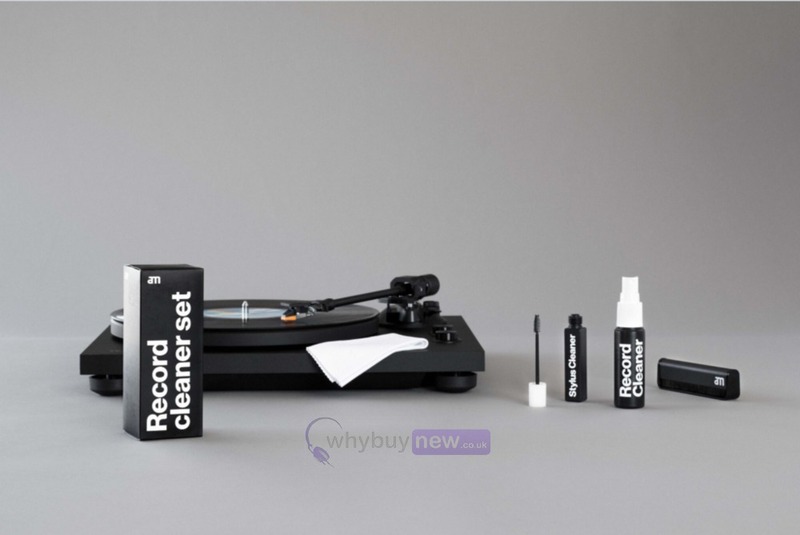 The AM Clean Sound Record Cleaner Set is a fantastic way of improving the sound quality and extending the life of your vinyl record collection. 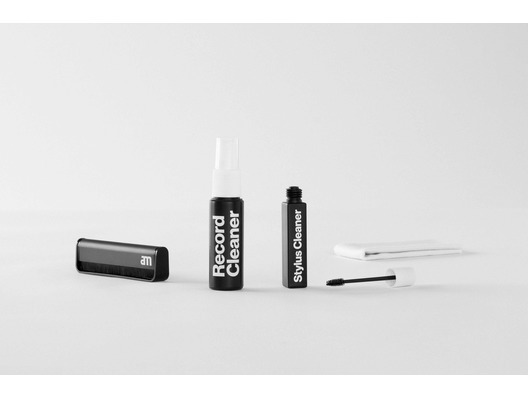 The cleaning set includes a 200ml Record cleaner, vinyl brush, stylus cleaner and lint free cotton cloth. 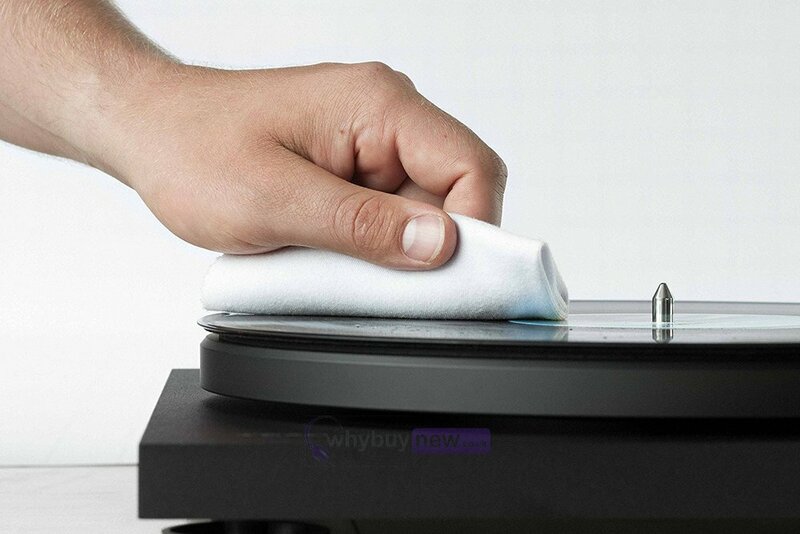 Essential cleaning, stabilising and anti-static treatment for your vinyl records and stylus. 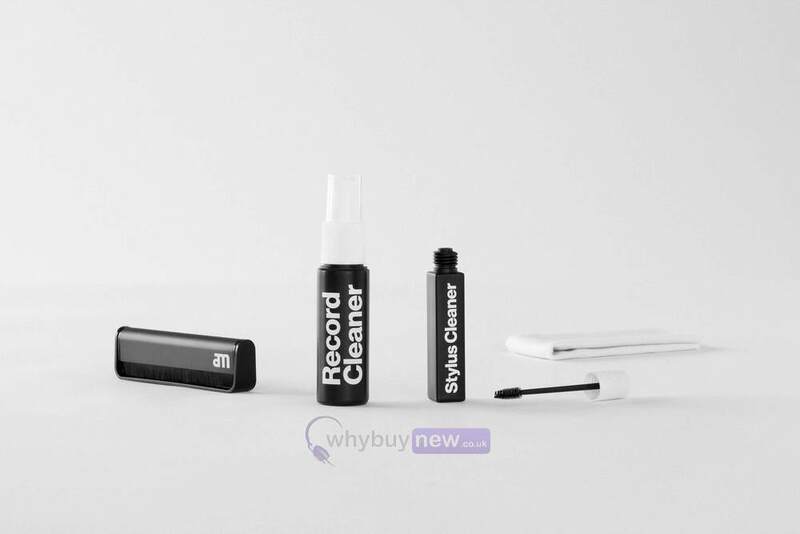 The specially formulated non-abrasive Record cleaner and anti-static Vinyl brush safely and efficiently eliminate grime, dirt and static build-up from your vinyl collection. The Stylus cleaner lifts dust, grit and particles worn from the stylus tip. The non-abrasive cleaning fluid lifts the gunk from the grooves without damaging your beloved vinyl, while the lint free cotton cloth absorbs oils and clings onto the dirt you can see and the grime that you can't. On top of the benefits of dramatically improved sound quality and prolonged record life, there's another reason to keep your records and stylus spotless. The reduction in friction during playback also hugely benefits the longevity of your cartridge stylus. Spray the Record cleaner directly on the record making sure not to wet the label. Take the cotton cloth and gently wipe the record in a circular motion. Work your way inwards tracing out the circular line markings on the record. Take the Stylus cleaner and use the applicator to brush from the back of the stylus (the end nearest the cantilever) towards the tip. Gently hold the fibers of the Anti-static brush in the grooves as the record spins to collect dust, particles and remove static build-up. After the record makes a full rotation, angle the fibers towards the outside of the record and carefully sweep the particles off the vinyl surface.